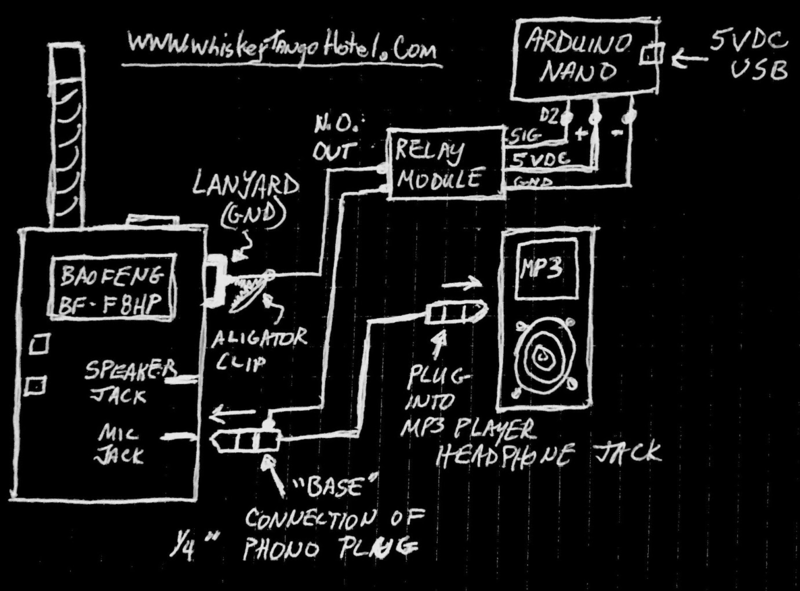 Today we start a new series dedicated to amateur radio for cheapskates. Ham radio has a reputation as a “rich old guy” hobby, a reputation that it probably deserves to some degree. Pick up a glossy catalog from DX Engineering or cruise their website, and you’ll see that getting into the latest and greatest gear is not an exercise for the financially challenged. And thus the image persists of the recent retiree, long past the expense and time required to raise a family and suddenly with time on his hands, gleefully adding just one more piece of expensive gear to an already well-appointed ham shack to “chew the rag” with his “OMs”. As I pointed out a few years back in “My Beef With Ham Radio”, I’m an inactive ham. My main reason for not practicing is that I’m not a fan of talking to strangers, but there’s a financial component to my reticence as well – it’s hard to spend a lot of money on gear when you don’t have a lot to talk about. I suspect that there are a lot of would-be hams out there who are turned off from the hobby by its perceived expense, and perhaps a few like me who are on the mic-shy side. This series is aimed at dispelling the myth that one needs buckets of money to be a ham, and that jawboning is the only thing one does on the air. Each installment will feature a project that will move you further along your ham journey that can be completed for no more than $50 or so. Wherever possible, I’ll be building the project or testing the activity myself so I can pursue my own goal of actually using my license for a change. 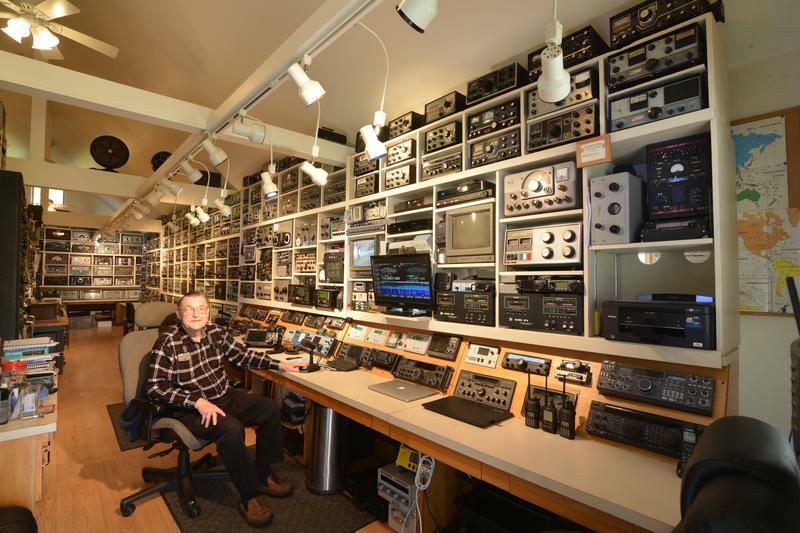 Ham radio isn’t just one hobby. It is a bunch of hobbies ranging from chatting to building things, bouncing signals off the moon, and lots of things in between. Some of these specialties, such as supporting disaster relief or putting odd locations “on the air”, require portable operation. To encourage disaster readiness, hams participate in Field Days which is a type of contest that encourages simulated emergency conditions. So how do you erect an antenna when you just have a few hours to set up a temporary station? [KB9VBR] shows how he and his friend used a Chameleon Emcomm III portable HF antenna for Winter Field Day. You can see the video review, below. Unlike some portable antennas, this one is almost 100 feet of wire (73 feet of radiator and a 25 foot counterpoise). The entire affair is meant to be put up and taken down repeatedly. Setting up satellite dishes can be a finicky business. To aid in the alignment of these precision antennas, satellite finders are often used which can display audio and video feeds from the satellite while also providing signal strength readouts for accurate adjustment. However, these devices can also be used in interesting ways for more terrestrial purposes (Youtube link). Using the DMYCO V8 Finder, [Corrosive] demonstrates how to set up the device to pick up terrestrial amateur streams. Satellite reception typically involves the use of a low-noise block downconverter, which downconverts the high frequency satellite signal into a lower intermediate frequency. Operating at the 1.2GHz amateur band, this isn’t necessary, so the device is configured to use an LNB frequency of 10000, and the channel frequency entered as a multiple of ten higher. In this case, [Corrosive] is tuning in an amateur channel on 1254 MHz, which is entered as 11254 MHz to account for the absent LNB. [Corrosive] points out that, when using an F-connector to BNC adapter with this setup, it’s important to choose one that does not short the center pin to the shield, as this will damage the unit. This is due to it being designed to power LNBs through the F-connector for satellite operation. By simply reconfiguring a satellite finder with a basic scanner antenna, it’s possible to create a useful amateur television receiver. If you’re wondering how to transmit, [Corrosive] has that covered, too. Video after the break. If you want to learn Morse code and you don’t have a teacher, you’d probably just head over to a website or download a phone app. Before that, you probably bought a cassette tape or a phonograph record. But how did you learn Morse if you didn’t have any of that and didn’t know anyone who could send you practice? Sure, you could listen to the radio, but in 1939 that might be difficult, especially to find people sending slow enough for you to copy. Wireless World for August 3rd, 1939, has the answer in an article by [A. R. Knipe] on page 109. While you probably wouldn’t use it today, it is a great example of how ingenious you can be when you don’t have an Arduino and all the other accoutrements we take for granted today.